Filmed on a low budget at locations in rural Ontario, Canada, the restrained chills and atmospheric tension of the film festival sensation, The Witch (or The VVitch: A New-England Folktale, as it was originally titled) made a mighty impression on critics and audiences willing to embrace a more cerebral form of modern horror. Now, this terrifying tale of a despairing evil that overcomes a devout Christian family trying to forge their survival off of an unforgiving land comes home to Blu-ray, where chances are it will gain an even larger following. Written and directed by Robert Eggers, The Witch is an exquisitely crafted exercise in dread. Set in 17th century New England, the film stars Ralph Ineson as William, a Puritan farmer who, upon threat of banishment by the church, must leave his colonial plantation. He relocates his wife, Katherine (Kate Dickie), and their children to a secluded plot of land on the edge of the wilderness. Unsettling things begin to happen — the crops rot, goats give blood instead of milk, and the youngest child disappears as another becomes possessed by an unknown evil. With suspicion and paranoia mounting, the grief-stricken family accuses Thomasin (Anya Taylor-Joy), the oldest daughter, of witchcraft. A24 has released a new trailer for Robert Eggers‘ The Witch, which is being hailed as one of the most anticipated films of 2016. Set in 17th Century New England, a deeply religious mother and father believe that a dark force has descending on their plantation located deep within an ominous forest. Soon the heads of the family believe that their eldest daughter has become possessed by evil spirits, and start to accuse her of witchcraft. Something that she adamantly denies. Based on the trailer, The Witch is a bit unconventional horror film that doesn’t rely on cheap jump scares, but rather a cold unnerving chill that will continue to build until the moment is right. Check out the latest trailer for film below. 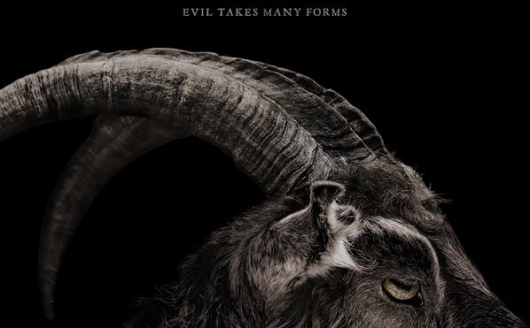 A trailer has been released for a new horror film titled The Witch, and it looks like the type of movie that could potentially latch itself onto your brain for a while after seeing it. The movie is described as a New England folktale, but sadly that’s the only thing we have to go on at the moment apart from the trailer itself. It’s directed by Robert Eggers, his feature directorial debut (he’s also set to direct a remake of Nosferatu), and stars Ralph Ineson and Kate Dickie, who played Dagmer Cleftjaw and Lysa Arryn on HBO’s Game of Thrones, as well as Anya Taylor-Joy, Harvey Scrimshaw, Lucas Dawson, Ellie Grainger, and Julian Richlings. You can watch the trailer for The Witch and also see a poster for the movie below.